48 hours - When we say “fresh,” we mean it. In less than 48 hours from the time the milk leaves the farm, our all natural string cheese is ready for your enjoyment. 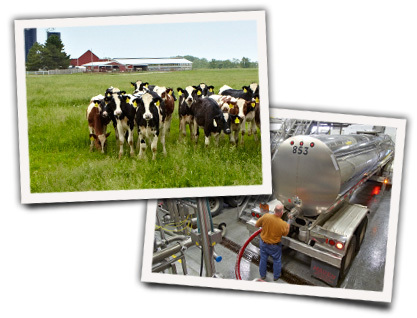 We partner with local Wisconsin farmers along with licensed milk haulers to ensure the freshest and highest quality milk will be delivered daily to our plant. 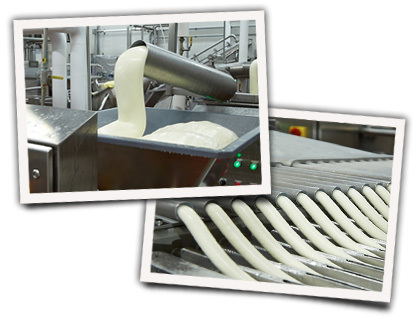 Although we have always been an innovator, our core process remains true to the use of high quality natural ingredients and an experienced staff to produce our consistent, award winning mozzarella string cheese. Stretching it – Yes, this is why our cheese "strings"
Through generations of innovation, we have maintained the key elements to create true, natural string cheese that began with hand stretching our mozzarella into ropes and continues today with the highest quality, stainless steel stretching equipment to allow for the consistent "stringiness" that is synonymous with Baker String Cheese. 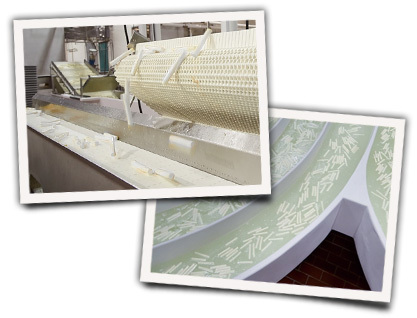 We use temperature controlled salt brine to finish the last steps of "locking in" the freshness of our traditional string cheese production without having to ever freeze the product. 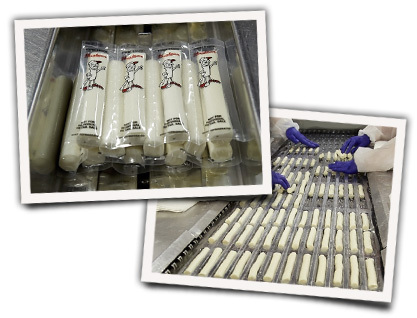 We package our string cheese in vacuum sealed packages immediately after it is cooled down to ensure the freshness of each stick. Our string cheese is "made to order", which guarantees that only freshly made string cheese is shipped from our facility each day. 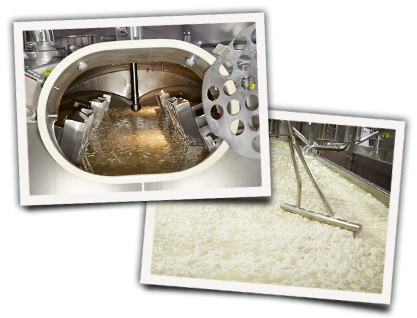 Our process was designed so that we can offer you a great tasting, high quality, fresh string cheese. Interested in tasting it for yourself? Pick some up at our cheese store.